"It's like a ghost town," said Weber, an entomologist. "Insect rearing is a little bit of an art," he said. Weber and one other member of his lab at the Beltsville Agricultural Research Center have permission to do limited essential work like caring for their insects, albeit without pay. "So far, we're able to keep enough of our colonies going so that we can start up" as soon as the shutdown ends, he said. "When the government shuts down, it's not a case of, 'Well, you just turn the lights off and lock the door,' " said Bob Peterson, an entomologist at Montana State University and president of the Entomological Society of America. "You can't do that with living organisms." Across the country, millions of fish are treading water in hatcheries run by the U.S. Fish and Wildlife Service. At one location, essential staff have scrambled to collect data on behalf of furloughed scientists who are in the midst of a multiyear experiment. "That can't wait," said an employee who asked not to be identified when speaking publicly about the partial government shutdown. They are doing their best to pick up the slack, but it's a challenge: "We've got our finger in the dam." Many federal researchers could not be contacted to discuss the shutdown's effect on their work because they cannot check email or answer calls; others declined to go on the record over fear of retaliation. However, university scientists and former government employees say there is little doubt that the shutdown already has created significant setbacks for federal researchers and their collaborators, especially those who can't simply put their work on hold. "It's a very big deal," Peterson said. Experiments have been disrupted and months or even years of work put at risk. Some projects already may be ruined. "That's a lot of cost in terms of time and money," he said. The public ultimately will lose out on useful knowledge, he said. For example, most federal entomology research is aimed at "protecting lives and homes and food." At the USDA's National Center for Agricultural Utilization Research in Peoria, Ill., a skeletal crew is keeping the ship afloat, said Ashley Maness, president of the local chapter of the American Federation of Government Employees. Essential staff can go in to water plants and feed insects, she said, but they cannot collect data on experiments that were in progress when the shutdown hit. Maness doesn't know exactly which projects have been affected, but many are time-sensitive. "People have their plants, and they should be doing something with them right now," she said. "All that's not happening," Maness said. As the plants and insects in the lab keep progressing through their life cycle, "we are losing lots of research." Having your research subjects die is an even bigger blow, and it can take time to rebuild, said Pimsler, who raised carrion flies as a graduate student. "A loss of my colony at this time of year would have totally ruined my research," she said. Pimsler said she knows researchers whose colonies collapsed during the 16-day shutdown in 2013, which was prompted by a fight over the Affordable Care Act. With the current standoff over funding for a border wall already in its 27th day, she's heard from federal colleagues who fear their colonies will meet the same fate. Scientists had wrapped up operations for the holidays, so no critical experiments were interrupted. But they knew that essential staff would not be able to keep the cultures alive. "It's constant parenting," the employee said. "It would have taken weeks of training." So a lab member comes in every few days to transfer the cultures to new substrates, banking on the likelihood that they won't get arrested for violating federal law. They said it's a risk worth taking: Researchers have grown these same strains for years, and they represent unique genetic lines. "If you lose this microorganism, it's not recoverable," the employee said. Crop scientists undoubtedly are suffering as well, said Victor Raboy, a retired plant geneticist who used to work for the USDA's Agricultural Research Service. "You might lose a whole generation," which could set researchers back six months or more, Raboy said. He is keenly aware of the effects of a shutdown—the one in 2013 marred his research on barley. It happened in October, just when he needed to harvest plants he had nurtured for months. "It's like telling a doctor you can't go in and see your patients," he said. Weber remembers 2013 too, and said both shutdowns have been demoralizing. "It's a feeling that you get that you are devalued—that our work isn't important," he said. 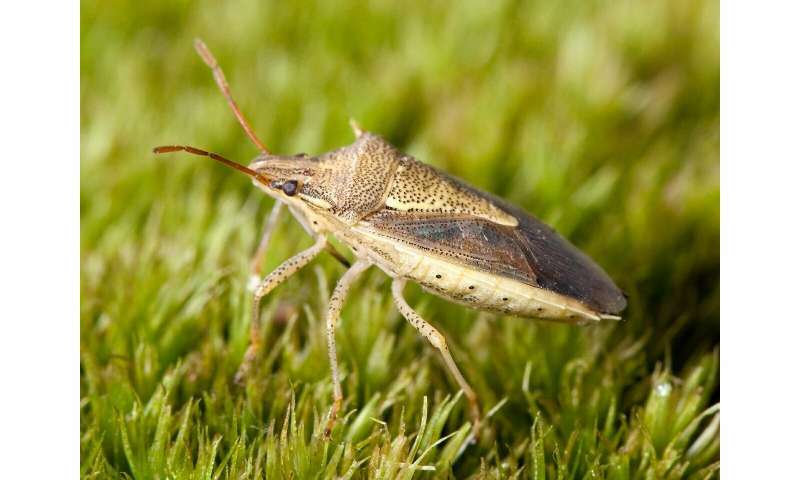 Weber currently is maintaining colonies of rice stink bugs, which ravage their eponymous crop across the South, but he can't collect data to learn anything about them to help growers. "From the cost-benefit side, it's all cost now. There's no benefit," he said. For now, Weber's insects are doing fine. But he fears the stalemate already has blown his chance to do some important research later this year. He had planned to order a batch of a custom-made pheromone that attracts striped cucumber beetles—a pest that attacks squash, melons and, obviously, cucumbers—and produce thousands of lures to test ways of diverting the insects from crops. However, he couldn't place the order because employees in the contracting office are considered nonessential. "They're completely out of business," he said. Even if the shutdown ends tomorrow, he's probably missed his shot. The company that makes the pheromone needs 18 weeks to cook it up, and the beetles will emerge in mid-April. "October 2013 data were collected in defiance of the shutdown of the U.S. federal government during this time," Weber wrote in the acknowledgments.